When you are trying to promote a web store, having a few pages on social sites is not the way to go about it. 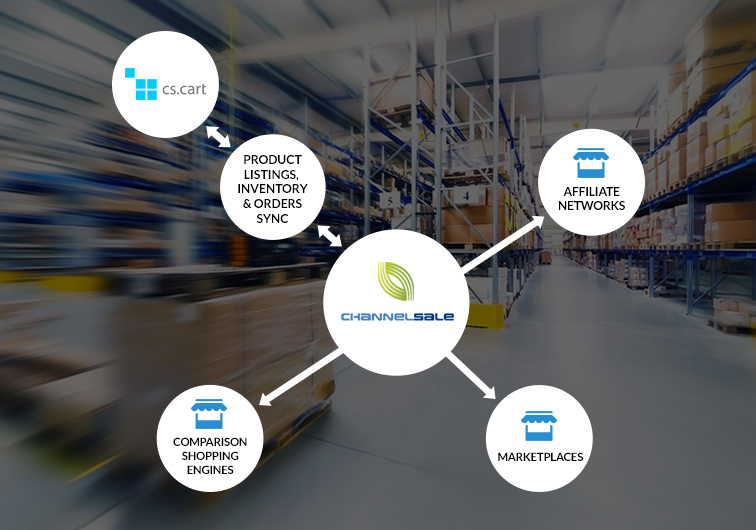 At ChannelSale, we use multi-channel promotional strategies in order to make your store and its products visible across the widest possible range of platforms. We also use the most high-tech software management tools in order to integrate your CS Cart store with the Sears platform. Sears is one of the biggest marketplaces online and integrating the platform into your store can ensure significantly greater exposure and greater revenues for your store. Our CS Cart Sears integration services are faultless and adhere to all the policies of the Sears platform. Alongside integration services, we also help you manage your single or multiple CS Cart ecommerce stores. Our marketing aces can help you with automated product listing, real-time inventory management and a variety of other services and ease your burden. You can let us handle your stores while you focus on various other aspects of your business. How We Can Be Your Best Option? We can help you with a wide variety of services, such as product performance analysis, shipping and order tracking management services, feed optimization, stock synchronization updates, over or under-selling issues and more. We can also keep you updated about the selling prices of similar products from competing stores. Our use of CS Cart Sears connector and granular level item category mappings ensure that all your stocked items are associated with the most suitable item categories that can be found on Sears. We keep varied pricing for varied marketplaces such as Sears with the aid of our CS Cart Sears app and send marked up costs to different shopping engines. Our efficient CS Cart Sears extension makes sure that all the products in your store are showcased on the Sears platform without refuting any of the policies of the latter. We can help you to sell items of any size, type, colour or shape and whether they are kits, bundles, varied or multi-variational products. Mail us at info@channelsale.com or call us on +1-866-709-9495 to speak with any ChannelSale Client Service Executive and get started or to get more details.